Is it possible to have more than one context-sensitive menu set up? Yes, I’ve updated the example. It will be available in the next version. Download and copy command_context_sensitive_menu.py file to pie_menu_editor/scripts folder and import context_sensitive_menu.json file. i want to create top toolbar in shader editor. 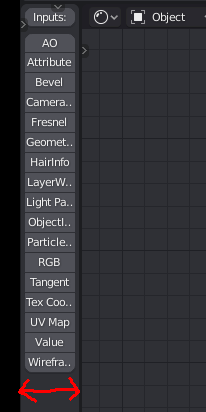 When i try to add node (for example noise texture) shift+a right click on noise texture and Pie Menu Editor, choose Top Toolbar and button is inactive. 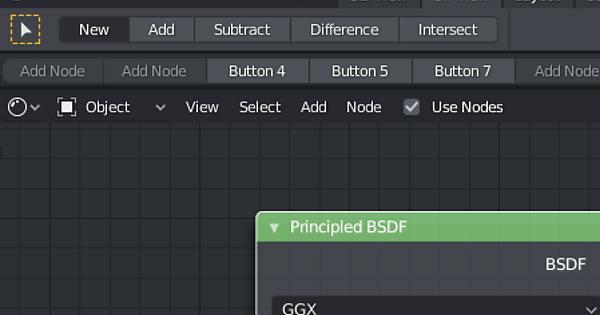 This tool requires Node Editor Area to be active. Download and copy this patch to scripts/addons/pie_menu_editor folder and restart Blender. The patch adds focus_area() function which will be useful for your toolbar. After installation 15.17 on 2.79 last, menu in the settings is displayed at the bottom of the User preferences window. After many removals and reinstallations of all Addons, back to old version 1.14 which works without complaints. What do you mean by 2.79 last ? Where I can find it? I’ve tried to download and install Blender from this page and it works. Yes, I install from there. It’s weird, but menu again displayed at the bottom. At the same time them was installed from scratch + pme only… after system cleaning. Thanks, will try to find a solution. Could you reproduce this issue? Or maybe i can do something for help you to find what’s wrong? It is not critical, but it is not convenient. I’m not even sure, what the problem is. Could you reproduce this issue? Yep, it’s random but it happens. Please try to copy this file to scripts/addons/pie_menu_editor/ folder and restart Blender. Suggesting that maybe the process of install changed. I tried to put it in the archive with the addon, replacing the original. And install from User Pref … Nothing. Updated the file. Please try again. It`s work. Awesome. Thank you very much! Hello, incredible add-on. I have been struggling with one issue though. I would like to create context sensitive commands in the Node Editor. For example, a command which would allow me to change the name of a currently selected node. Right now it seems like I must designate the node tree and specific node name if I want to make changes to the node, I want something that will allow me to change the properties of any given node. How would I do this with Pie Editor? Add C.active_node.name to property box. I recommend Context Browser 1.2.1 from roaoao if you’re struggling with finding context members. Nodes have a special context which isn’t accessible from the interactive console. Thank You roaoao! Works great! It is possible to make toolbars more wider? You can change toolbar size in add-on preferences (video).